Life can feel a bit like an ongoing baseball game: strikes, fouls, an occasional hit and mad dashes for home. The Curveball transcends the field and feels right in almost any setting. Wear it to work, to play, to every permutation in between. Win or lose, it's the game hat you want securely on your head, regardless of the inning. When I started wearing my new wool curveball cap something occurred to me: I'm wearing a new memory. 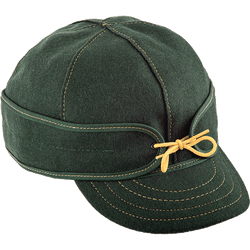 Having bought two hats and their great Tough Mittens I was already aware of the satisfying workmanship, style, durability and just plain good looks of Stormy Kromer products. But there's something else the hat comes with: my first baseball glove; my first .22 rifle; my first bicycle; my first ball cap. Of course they were all made in America back then. 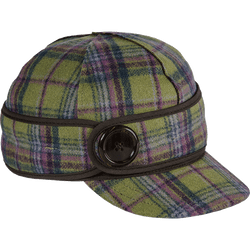 Just like Stormy Kromer hats and clothing are now. Right here in America. Our country. Our people. Oh, and one other thing: this is the only ball cap I've bought in many years that actually fits well and looks good on me. Do yourself a favor. Buy a Stormy Kromer. and be warm, confident and feel good that you made the right decision to buy a new memory. I really like the quality of this hat. Looks great and is made to last. You can’t beat wool with a brim to keep the sun or snow out of your face ! I bought 3 of these. 2 brothers-in-law and a nephew. All 3 LOVE them! Make sure you use the measuring assistant and go up a size. VERY helpful! I got this hat as sort of an every day kind of hat. It fits to size, looks outstanding, and comes from the factory with a flat bill that can be folded for the desired crease. I would highly recommend this hat for anyone looking for a day to day hat that will look good with anything. Sharp looking with a clean six panel design. Looks good with almost anything you're wearing. It has a small, nice looking embroidered "SK" logo on the back, threaded in the same color as the hat. 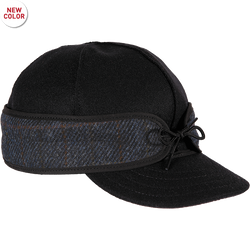 And just like the Original Kromer Cap, it is built very well. Great cap, well made warm and perfect fit great job SK! !Love it!! Love my new cap, can't take it off.AND IT'S MADE IN THE USA!! !